Is the future of secure cryptocurrency storage and payment simply “cash in hand”? 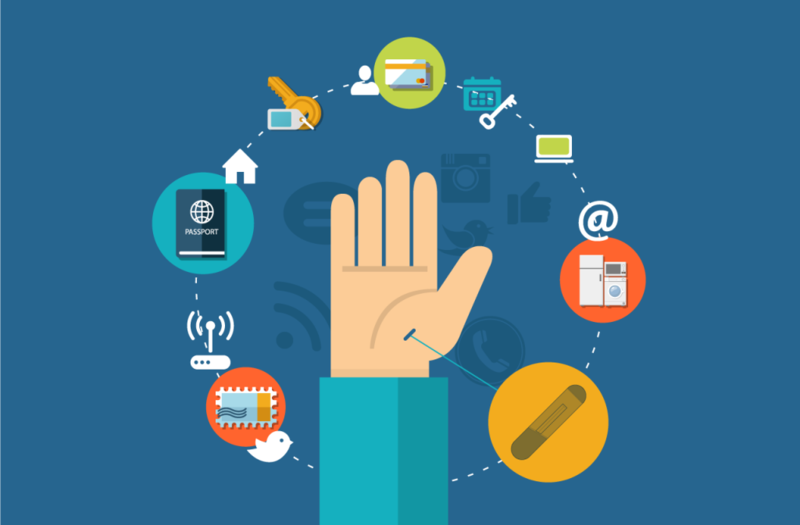 Inspect a Gadget looks at how one firm’s human microchip implant could help. We’ve all looked on with interest as the Bitcoin rollercoaster has soared, dived and soared again over recent weeks. Quite the ride for those who joined in early on. However, also of interest is how entire ecosystems are now developing to support those whose virtual pockets are suddenly bulging with virtual coins. Among those hitching a ride are firms with novel ways to secure your cyber cash. Step forward Danish outfit BiChip with its “human microchip implant”. It promises to help you wave goodbye to concerns over secure crypto-currency storage and wave hello to easier payments. Bitcoin isn’t the only crypto-coaster in town: thrill-seekers have long been jumping aboard the Litecoin log flume, riding the Ethereum waltzers and cruising Dogecoin dodgems. Perhaps less known among these is Ripple XRP. Technically, Ripple is an open payment network used to facilitate fast and cheap international money transfers: think Western Union or SWIFT for the blockchain era. It is the platform upon which its token (currency), XRP, is transferred. And that’s the currency that BiChip is promising to support first of all. In 2017, a Bitcoin’s value rose by a whopping 1,500 percent. However, XRP’s value rose by a staggering 36,000 percent and is now vying for second place alongside Ethereum to be the biggest cryptocurrency by market-cap behind Bitcoin. Also looking to jump aboard the coat-tails of these cryptocurrencies’ success are the criminals. Ever the opportunists, cyber-crooks certainly aren’t new to this scene (as former MtGox customers will know to their cost) and have already been re-sharpening their tools to try to weasel their way into your wallets. For that reason, keeping the private key codes for your cryptocurrency online or with a coin exchange is widely held to be unwise. Some opt for the old-school and write currency codes on pieces or paper. 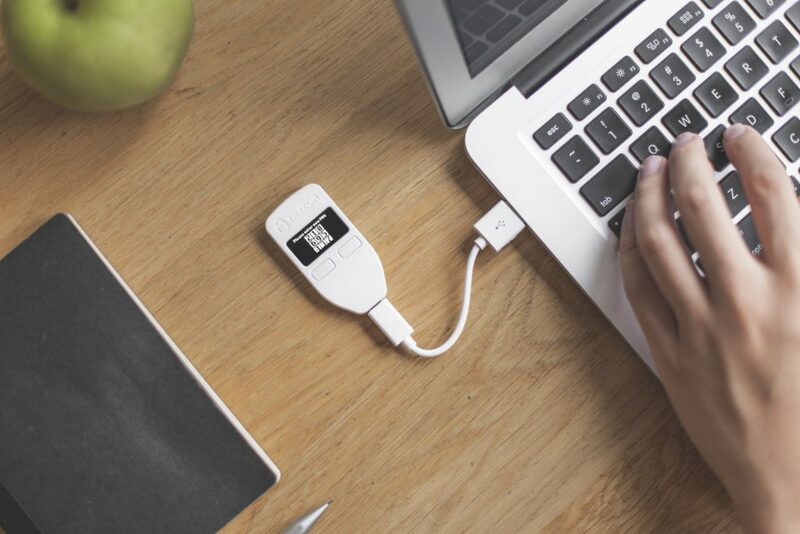 Others look to dedicated hardware devices like the TREZOR digital wallet to keep their crypto assets safe. Similarly, the Jaxx digital asset wallet, created by Ethereum co-founder Anthony Diiorio, is a well-regarded smartphone app that helps keep your blockchain assets close to your chest. However, Danish firm BiChip just announced that its human microchip implant will make sure your crypto-cash is always close at hand by storing it – literally – inside your hand. These implantable rice-grain sized RFID / NFC chips are nothing new – they’ve been a popular party trick at tech conferences for a number of years now, letting wannabe body-modders exchange digital business cards, open hotel room doors, make payments and even use public transport. The Danish firm says it is now working on a system that could allow cryptocurrency payments simply by waving your hand over a reader. Sweden is one country where body-modding has gathered a strong momentum. Since 2017, travellers with state-owned rail operator SJ have been able to use RFID hand implants instead of paper tickets. 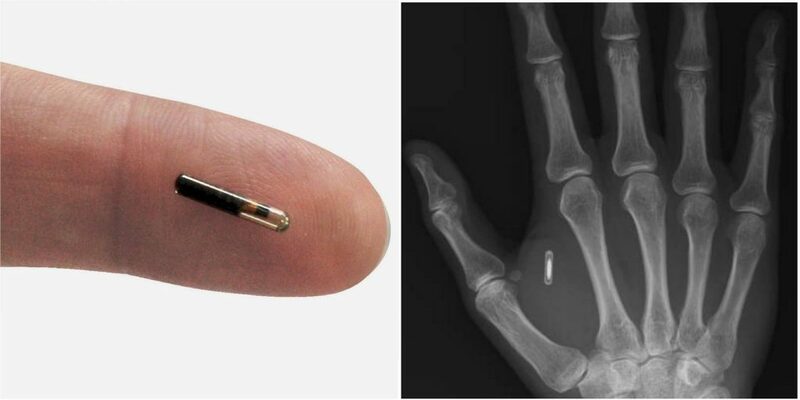 In collaboration with Swedish firm BioHax, US vending machine company Three Square Market began offering chip implants to its staff last year. The RFID implant enabled workers to open doors, login to their computers, use the photocopier and – naturally – pay at the company’s vending machines. A popular move with staff, but one that garnered international condemnation from privacy activists and even religious groups. Here in the Inspect a Gadget office, we’re not so sure yet. Aside from feeling faint at the mere mention of a needle, the semi-permanence of a chip implant – and the difficulty removing it – is a major hurdle. Given the rate at which early-stage technology inevitably evolves and is miniaturised, a new chip today may easily be obsolete tomorrow. Strong practical use cases for these implants would need to develop that set it beyond wearable tech: after all, a smartwatch already offers secure storage and payment services to meet most people’s needs. There is no way that I would ever consent to having a microchip implanted. Well, if I were starving and there was no other way to survive, but that would be a dystopian world in which I would probably not want to go on living, anyway. Sorry, cold, hard cash for me! My dad has a pacemaker; he had to visit hospital last year so he could have a firmware update. I know of people with hearing implants, some of which are functional microcomputers. Implants such as these are socially acceptable, but any kind of body-modding that isn't medically necessary does appear to over-step a cultural and social taboo. Did you confirm that BiChip is a legitimate company? I haven't been able to find anything of substance on them. They seem to be tied to other fake companies and to have a fake address that is shared by many others. How far did you vet them before writing this article?